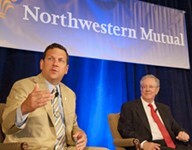 Northwestern Mutual hosted a speaker series with Steve Forbes, chairman and editor in chief of Forbes Media and John Schlifske, Northwestern Mutual chairman and CEO. Forbes and Schlifske discussed their thoughts on the economy, the markets, and how individuals and business owners can ensure financial security in the new normal. The event was part of a three day, seven-city tour and saw over 4,000 attendees in total. The Milwaukee event, which took place at The Pfister Hotel, had over 500 in attendance. Laura Bouslough realizes that life never stands still. It evolves, changes direction, and leads to new possibilities. That means your approach to financial security cannot be static, because as your life changes, so do your needs and goals. Working together, Laura Bouslough and her team can help you identify your financial goals and objectives to help you prepare for the future and help protect you if life takes an unexpected turn. Keeping pace with life's changes is important. Let Laura help you achieve a secure financial future. Learn more about Laura Bouslough and her team and how they can serve you. Laura Bouslough and her team support an exclusive client base in Wisconsin, and throughout the United States. Laura's area of expertise involves the estate analysis for top executives and closely-held business owners. 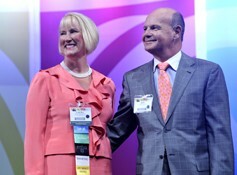 In July 2010, Laura was recognized as one of the Top 20 Financial Representatives in the Company.